Amazon’s Fire OS powers the entire range of Fire tablets and streaming devices from the maker. Today, Fire OS has got updated to version 6, which brings Android 7.1.2 Nougat on board. This update is pretty major for the OS as it brings features like Picture-in-Picture (PiP) functionality to Fire TV, but sadly, the update will be limited to just a few Fire OS devices. 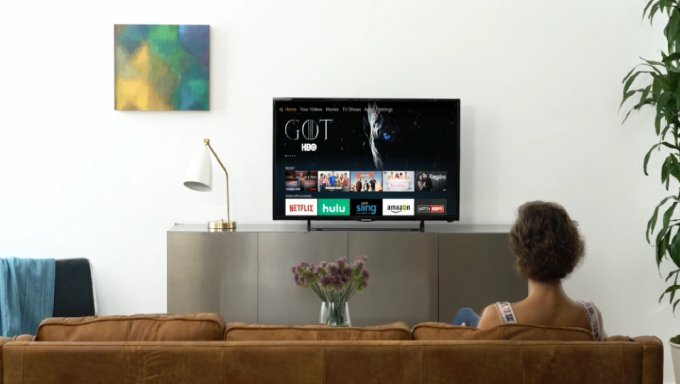 It is pretty clear that the 4K Fire TV will ship with Fire OS 6 while the rest of the lineup may not be upgraded to the latest version. Even if Amazon does bring the version 6 to previous models of Fire TV, it would still take some time. With the version 6, other Nougat features to debut on Fire TV are Content Recording and Time-shifting APIs. As you know, PiP will allow Fire TV to play videos in a small window while browsing for other videos. On the other hand, the Time Shifting feature will help the third-party apps that support live video streaming that will allow users to rewind and pause live videos. While Content Recording feature will allow multiple programs to be recorded simultaneously on Fire TV. Users will also get to schedule recordings, just like the good old DVR. As nifty as these features may sound, ultimately it will depend on the developers to integrate them.